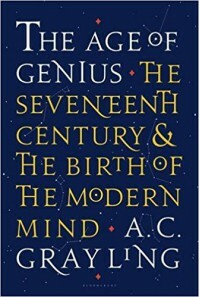 The Age of Genius: The Seventeenth Century and the Birth of the Modern Mind - Tolle Lege!. To understand who we are one must first understand where we came from and how we got there. Nothing provides more insight into our current human condition than a well thought out history about a critical century of thought such as this book provides. I've noticed that my "Scientific American" during the last two issues has commented on how the two statements recently made by actual politicians: "Climate change is a Chinese Hoax", and that "philosophers are not as important as welders", show a complete detachment from reality. Critical reasoning and rational thought based on empirical facts are universally accepted by subscribers to "Scientific American" and they owe a debt a gratitude to the 17th century pre-Enlightenment age as outlined in this book. The book provides a very good narrative for describing how we went from magic to science in such a short time. He'll bring in the elements from the 16th century which are necessary for telling the story and takes the story into the 18th and beyond when required. 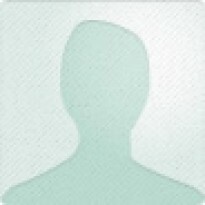 He never forces the reader into the artificial boundaries created by the 17th century as such. There is one criticism I did have on this book. It was how he presented the 30 year war (1618 - 1648). He is muddled. There are much better books and lectures on the subject matter, but don't allow yourself to get discouraged by his incoherence on that most interesting of all wars and realize it does matter for understanding today. Students of understanding modern times often make the major mistake of starting their studies with the beginning of the 20th century. Today's world did not happen in a vacuum and this book provides an excellent starting point for understanding today's world. Progress leading to critical reasoning and rational thought based on empirical methods and logical principles were not guaranteed for humanity. This book shows some of the paradigm shifts in thinking that were necessary before they became the norm. It took a confluence of different approaches to lead from the point where witches were considered real and burnt alive (after all if hell fire awaits them in the after life, they might as well enter hell through fire in this life) to the point were truth based on superstition, myth, magic, alchemy, Kabbalism and Hermeticism became ignored and irrelevant. Overall, I'm for anything that shows the importance of critical reasoning, and I love the 17th century because of how critical it is for us in understanding who we are today. (BTW, climate change is real and is not a Chinese Hoax, and welders are valuable, but society to properly function will always provide a place for critical thinkers such as philosophers and readers of books like this one! ).